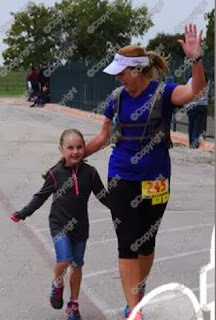 Iron Texas Mommy: Another Double Weekend In the Books! 57.8 miles. This weekend was my last long weekend of racing before the 100 miler. I still have the Route 66 Marathon in Tulsa on with my friends Marcy and Haley on November 24 and I'm really looking forward to that, but it's a little scary to know that I have no more high mileage weekends before now and December 7. Taper time. 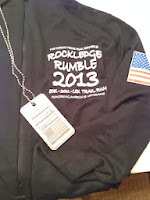 This was my first time to race Rockledge Rumble, but I have heard many good things about this race. 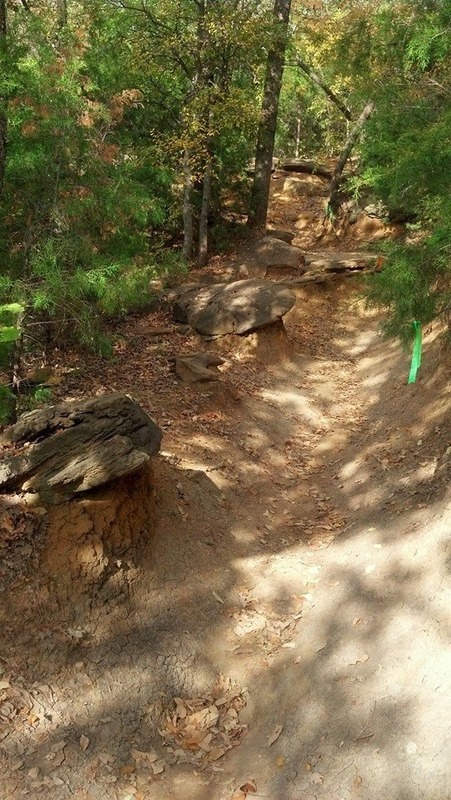 It is put on by the North Texas Trail Runners and they offer a 50k, 30k and a 15k run. The race starts at Rockledge Park in Grapevine, TX. The race did not disappoint. It was a beautiful day. It was a little cool in the morning, but warmed up with a slight cloud cover. 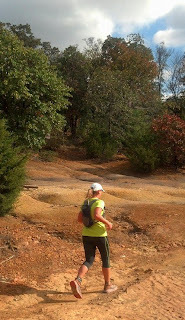 My goal for this race was to take it slow and steady, practice my pacing and eating for the upcoming 100miler and not maim myself by tripping or twisting an ankle. The initial group that took off started quickly and although I started somewhere in the middle, I moved out of the way as much as I could and let them pass. I did not want to get caught up in an early push. I had to keep reminding myself that I still had 26 more miles to go the next day, so it would do me no good to push my legs, just because I could. I ran with several groups of very nice people along the way. 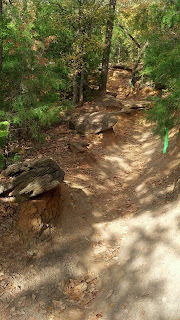 I ran into my fair share of roots that were deceptively hiding under the newly fallen leaves and as usual, I took the downhills like a turtle as I just don't trust my legs to be able to catch up if I was to catch my foot on something. 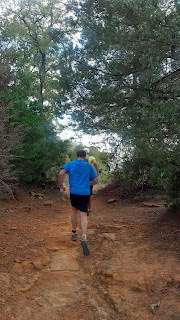 After some back and forth, I ended up running the majority of the last part of the race with a young man named Tyler. I can say 'young' because I'm 10 years his senior. 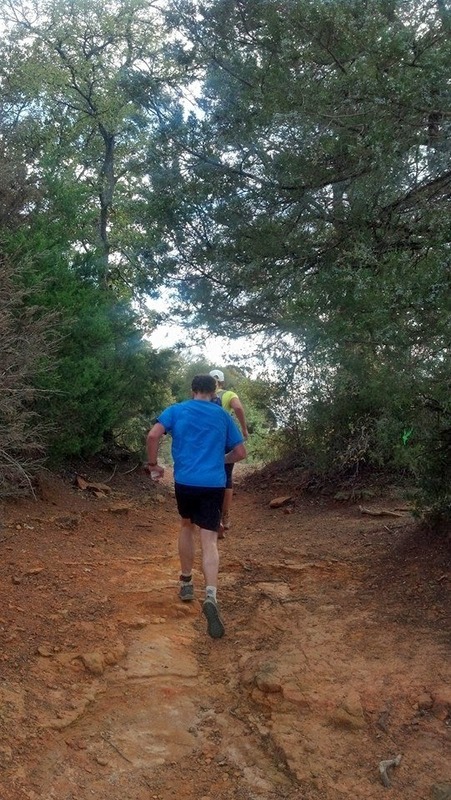 It was his first 50k and I think it's awesome that he found distance/trail running so early. He had run the 15k at Rockledge the year before and was determined to come back and finish the 50k. We talked a lot about running, inspiration, future goals, life and lots of other things. He had a great support team out there and I snagged these pictures from one of his friends (so Brant, thank you, if you're reading this!) We finished strong and I let Tyler go ahead of me and I held back some so that I wouldn't be in his race pictures! It was his first and I wanted him to have that moment to shine! :) After we finished, we enjoyed some time off our feet and some great quesadillas that they were serving. Overall, I really enjoyed this race. The course had a little bit of everything a trail should be mixed into it. Some technicality, some hills and some pretty views. The aid stations were fabulous and very helpful and friendly. Total mileage is 31.6 for this race, so we get a little over a half mile bonus beyond the 50k. My legs hurt a little more than I would have liked, but I had a pair of compression socks waiting for me at home that would take care of that. 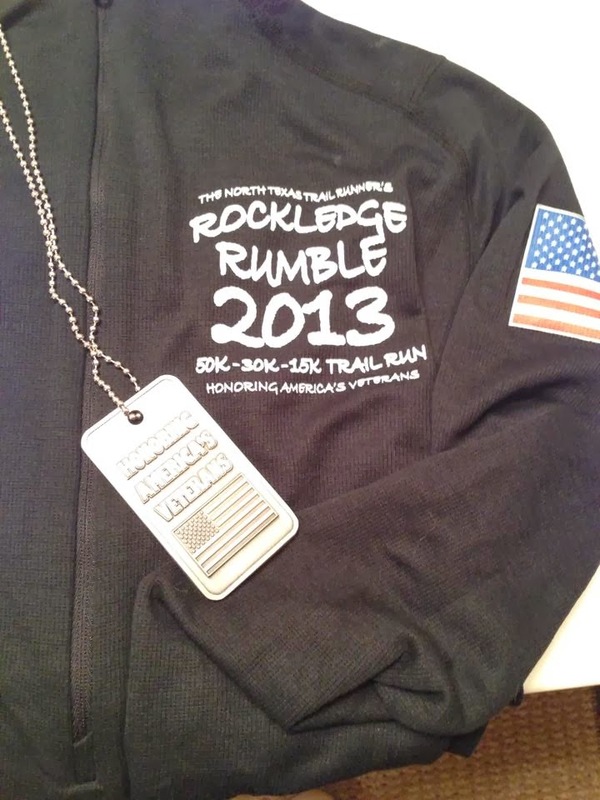 The race report supported the Wounded Warrior Foundation and they gave out Patagonia long sleeve jackets and the finisher's medal looked like a dog-tag. I am so buying this picture! The alarm clock went off again at 5am. It was easier than I expected to get up. My legs were sore, but not unbearable. Running legs are different than walking legs, so I was hoping I'd be able to get the running ones moving. I missed packed pick up on Saturday, so I was thankful they had race day pick up. I arrived early and had parking within 300 feet of the start/finish line! Score! I picked up my packet and then headed back to my car to stay warm. I stayed there almost until the gun went off. Ha! Literally walked up, waiting less than a minute and we started. So much for warming up my legs. The first 8 miles felt good. I quickly realized that my plan of walking the hills and running the flats was going to have to go out the window. There were NO hills! Normally, I'd be super happy with this, but I was looking forward to a little bit of a break and so I kept running. Between miles 10 and 13, I felt like I was going to pass out. I was super hungry and felt depleted of energy. I walked a lot between these three miles. Mostly because I didn't feel connected to my legs enough to trust them to run on them. 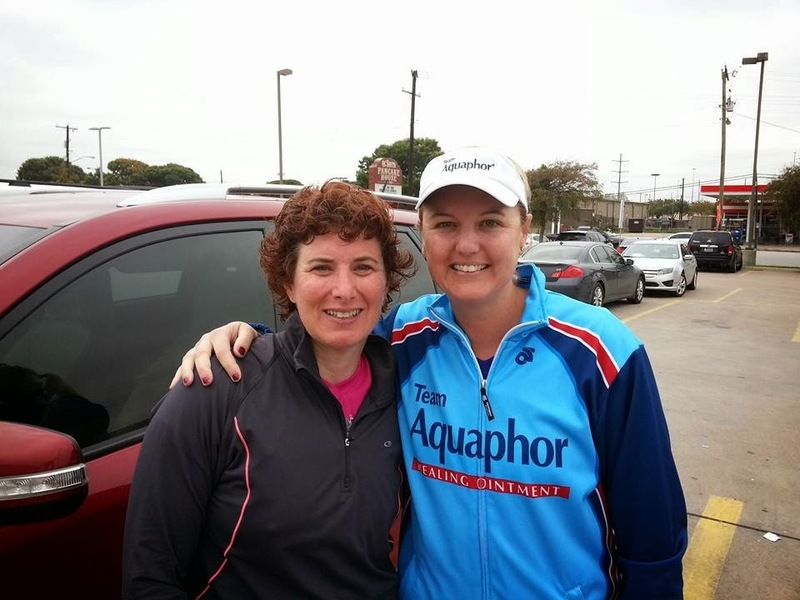 Thankfully at mile 13, I picked up my friend Marcy, who stayed with me until the finish. Her amazing mom and husband were out there to cheer us both on. Steve was a saint and bought me a Coke, a Rice Krispie treat and later on down the road a muffin that Marcy and I both nibbled on. The Coke, though, was the saving grace. 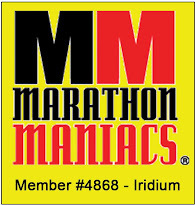 It perked me up and I picked up my pace steadily for the rest of the race. After a few sips, I literally felt like I came back to life. finish with our daughter and she ran me in. That is one of the best feelings as a mom. She accepted my medal and then all six of us went to breakfast at the Ol' Southern Pancake House in Fort Worth. It was fabulous. I ate enough food for a couple people and the owner's mom, who happened to be sitting in a booth near us, actually sent us over a "German Pancake" for us to try. It was amazing! It looked like a crepe, that they pour lemon juice on... seriously. Yum! I'm still thinking about it! As always, I can't thank my sponsor, Aquaphor enough. It is such a great product! 57.8 miles of running and I didn't chafe or get one blister. Love, love, love it! This entry was posted on 4:52 PM You can follow any responses to this entry through the RSS 2.0 feed. You can leave a response, or trackback from your own site. 'Young,' huh? I'll just have to aspire to be one of those crazy awesome 80 year olds still trying to run ultras! Congrats on the big weekend! I'm glad you found Ol' South and their German Pancakes, too! That's an unGodly amount of miles in one weekend, let alone one week (or in my case... one month). You are doing amazing lady! And I LOVE that picture of you two crossing the finish. Definitely a keeper!!! For me it was quite helpful to improve my workouts and gain better results!